Should job seeker ask about the company structure from the employer while interview? Had a good experience using our free services? Did our premium tools help you in finding your match? We hope that Career.VI has been able to bring a positive experience in your employment search and appreciate the feedback we receive! Your Testimonial will be a stepping stone for us to grow as the best and #1 job source tool in the Virgin Islands! Have you found a new job using Career.VI? Career.VI is the Virgin Islands' #1 Job website. This great platform allows Virgin Islands employers to post their job openings absolutely free. If you are looking for jobs in St. Croix, St. Thomas, St John, Tortola, Virgin Gorda, Anegada, Jost Van Dyke and Caribbean Jobs, Career.VI provides you one stop resource to find and apply for all USVI and BVI jobs. US Virgin Islands and British Virgin Islands employers can post and manage their job postings, applicants can create professional resumes with our state-of-the art resume builder and manage their job applications with ease. 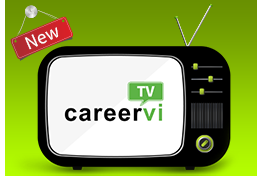 Career.VI also allows job applicants to network with others to land on their dream job. If you are from US Virgin Islands, Employers can meet their legal obligations by informing the US Virgin Islands Department of Labor of their job opening by posting it on Career.VI. If you are looking to move to US Virgin Islands or British Virgin Islands and need a job in the Paradise, visit Career.VI to find all Virgin Islands jobs.